I've been toughing my way through Ezekiel recently. It's a tough book about tough times. Ezekiel knew some very hard times. He lived through the siege and sacking of Jerusalem and was carried off into exile by the Babylonians. (Reading through Jeremiah gives a clear picture of just how horrible it would have been to have lived through that time.) And Ezekiel - God's messenger to His people in exile - was deeply, deeply aware and heavily burdened by the blackness of sin. So many of the pictures and messages recorded in the book of Ezekiel are largely of pain and hardship. There is clear judgment for God's people who have persisted in their sin and turned their backs on the One who loves them. There is clear judgment for the nations who have scorned God's people. And then there are the natural consequences of bad decisions. It is hard reading. And yet, the words "Sovereign Lord" are mentioned over 200 times throughout the book. This is what the Sovereign Lord says. This is what the Sovereign Lord will do. This is what the Sovereign Lord is doing. In all the hardship, confusion and grief, God is present and with a purpose. Natural consequence is fair and God's judgment is righteous. And that righteousness and purpose is borne out in a second phrase that appears time and time again - "Then they will know that I am the Lord." And so the book of Ezekiel, in all that is tough, is filled with hope because for all who cry out and turn to the God who loves them, there is the promise of restoration and peace for all eternity. Ezekiel presents a snapshot of a particular time in the history of God's people. It's also a timeless message for all people - God's very good creation - through all of history because even though the details are different, the reality is much the same. But back to the book and how to get into it...there is hope through God's sovereignty, love and righteousness to be found on every page of Ezekiel - and looking for that will assist in the very worthwhile work of persevering through the pages of this book for deep insight into times past, present and future. Completely missed: the autumn update. Autumn was mainly taken up with my mother-in-law's final illness and passing away. I spent many hours with her particularly in her last month and shed many tears for not one but two mothers when our boys' last grandparent went Home to be with Jesus. Thereafter: I felt compelled to do some homely stuff. So we installed some raised garden beds and I have been growing vegies. Seedlings, good soil and some rain will do the trick. It's not very hard. Well, not in winter. Summer may be a different matter. I did hear the good advice of planting out one bed with all the things you are likely to use every three weeks so that the harvest is staggered. That makes very good sense. Because in a few weeks, if all continues to go to plan, we will have a colossal beetroot stash. So once the winter vegies are in I might give that system a go. While the vegies were busy growing: I pressed on with the crochet project. The want to crochet came to me at just the right time. I didn't realise it but I have needed to sit and rest a while and it has been so nice to sit and create something beautiful, and while hands are occupied in this gentle work, to pray. If you look closely you'll see it's pretty rustic really - and that's just the front. The back, with all the finishing off...well, let's just say I'm not going to win first prize at the local agricultural show. (Might enter my beetroots instead!) But it has been a restoring thing to do. There is a pattern in all of that, believe it or not. It's on the diagonal. And one of my sons, bless him, has suggested that I ought not to leave it out on the sofa when it is finished because all the babies and toddlers that come to visit during the week might ruin it. So he has offered to keep it on his bed. And I think I might just take him up on his sweet offer. While crocheting: I often think of Psalm 139:13 which says, "For you created my inmost being; you knit me together in my mother’s womb." As I have made this blanket every inch of wool has passed through my fingers on its way to being crafted into a granny square, which gives me a warm sense of wonder and awe at God's personal love for us. Amazing. Reading: well, there's an interesting story. I read and read and read and read for months on end. Got to the end of one book and started in on the next one straight away. I worked my way through an impressive list of titles - all fiction and even during term time (!!) 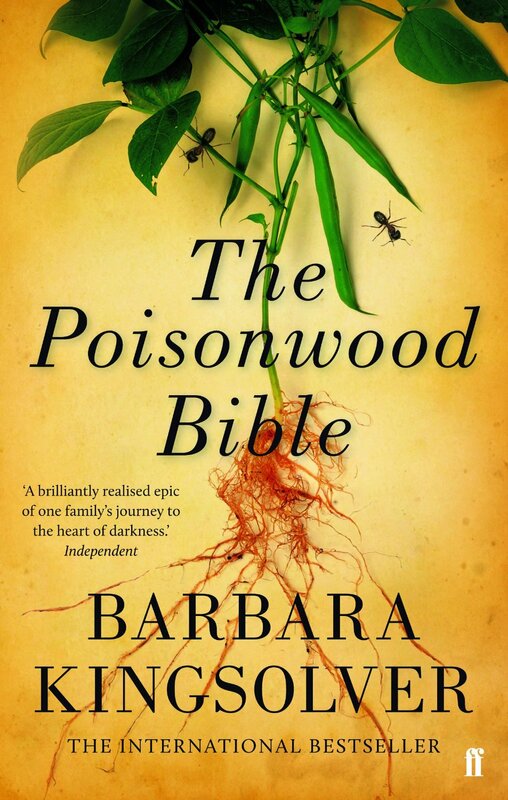 - and then I read "The Poisonwood Bible" by Barbara Kingsolver and it stopped me in my tracks. I was so moved by it that I couldn't pick up another book. For days. So I picked up a crochet hook in earnest and haven't really read anything else apart from the (real) Bible since then. But I am recently emerged from a very busy season (we just had our annual five day Holiday Bible Club and this year I was administrating it as well as running games and craft activities) and am thinking it is time to get reading again. I have a couple of books by Allan Chapple and a couple by Jerry Bridges that I am keen to read and I have two books about teenagers on the list as well. So reading it seems is set to recommence. Fringe update: "It was already getting annoyingly long and I think I will past the truly annoying stage in five to ten weeks at current rate of growth," said I at the beginning of February. I'm not one to spend hours gazing at myself in the mirror but oh, it has been a long and awkward six months. Two weeks ago I figured it had finally grown into something you might dare to call a hairstyle. So if I ever mention that I'm thinking of cutting in a fringe again you must take me in hand and tell me, "No." Be firm. "As a Christian, how do I best use the time now given to me to serve God, my family and my community, bearing in mind my own capacities and circumstances? It's not a question anyone else can answer for me. Nor is it one I can answer for anyone else. But that is the big question." And I have asked the same question in deciding to put my name down at our local school for some relief teaching. It came down to a Kingdom decision rather than a bank account one. So I did a few days here and there and not long after I found myself with a one-day-a-week fixed position until the end of the year in a year 4/5 room. It's lovely being back in the classroom actually. And middle primary is just the bees knees. Loved: series five of Downtown Abbey. I waited impatiently for it to come out on DVD and then devoured it almost whole. I guess it will be a year before the next instalment. Waiting, waiting... I'm glad they are finishing at series six though. It is good not to push these things too long or too hard. Was also waiting impatiently: for all your advice on mobile phones. But you all just wanted me to work it out on my own, I know. Well I think one of the statements I made, more than the others, and my slow cooker have helped me come a mind on the issue. More on that later. Nearing the end: of the minor prophets with the Monday evening Bible reading group. Wow! It has been a wonderful adventure. If you want to know about God in all of His mighty power, holiness, righteousness, mercy, compassion, love and sovereignty then this is the part of the Bible for you. Breathtaking. Also recently: had a ramble through Philippians again. It has been a while since I was there. And the desire to memorise this book has been rekindled. Does anyone want to join in with me? 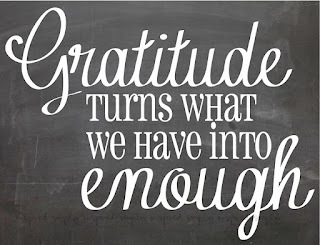 Very excited: to be following the Everyday Gratitude project. 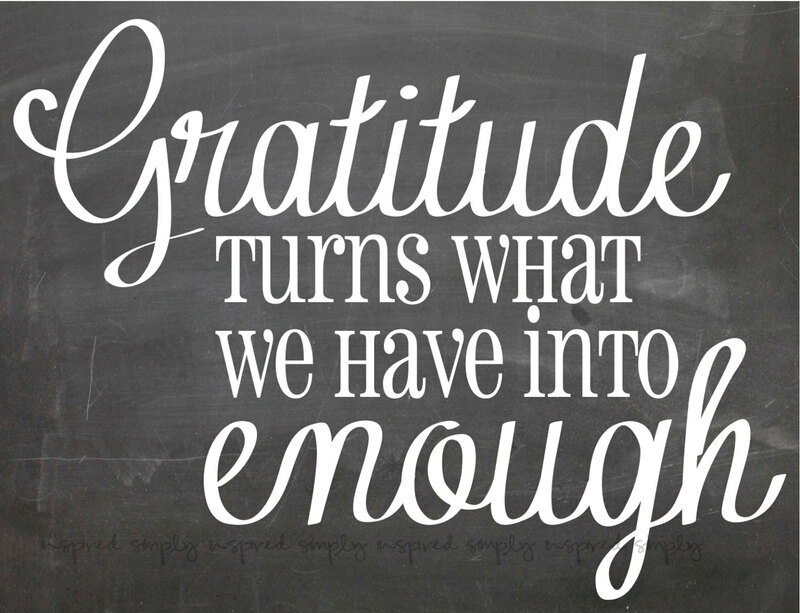 As I write this, the project has 10 days to go and is close to 80% funded. I hope it happens. Fresh back: from a five day holiday by the seaside. Nothing nicer than a winter holiday by the sea. Feeling refreshed, a few goals for the next six months set in place and all ready for the second half of the year. I hope you are too. Which century to live in? My flip phone (aka dinosaur phone and dumb phone) is in the death throes. Some days I think I should get myself technologically up to date. Some days I think my flip phone has all I need in a mobile phone. Some days I think having a smart phone would be fun. Some days I think I don't want all the stuff a smart phone offers at my fingertips. Some days I think having the answers at my fingertips would be useful. Some days I think having a flip phone resonates with living simply. Some days I think I am disadvantaged not having a smart phone. Some days I wonder why I am making such a big deal of this. Most days, these days, I know I'm going to need a make a decision soon because there are not many more days left for my flip phone.